Happy 75th Birthday Batman! Seventy-five years ago Bob Kane created a character in “Detective Comics”. Batman continues to have a huge impact, not only among comic book fans, but in popular culture as a whole (Dark Knight films, Arkham video games). 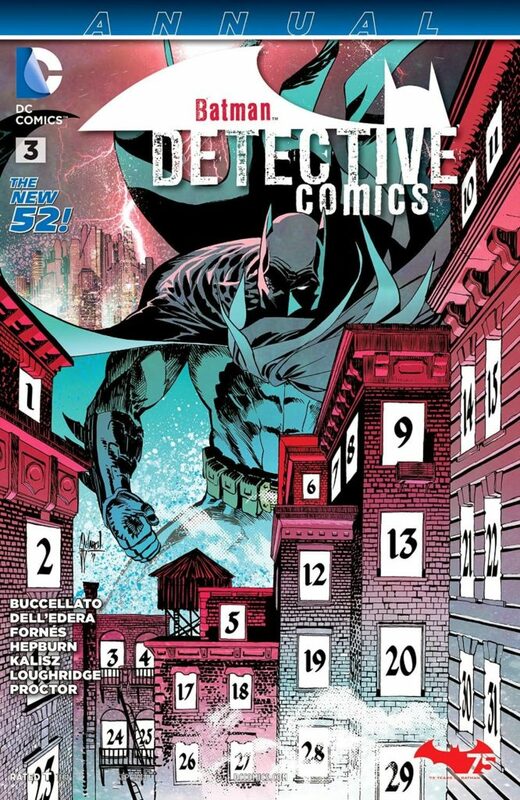 In honor of the years of entertainment and joy that Batman has brought me and fans across the world, I will review the 75th “Detective Comics Annual” issue. Our story begins with Bruce Wayne in his “Matches Malone” disguise. This is an undercover character Bruce has created to infiltrate the criminal underground. He waits in a bathroom for a man who is identified as Julian Day. Wait, what?! 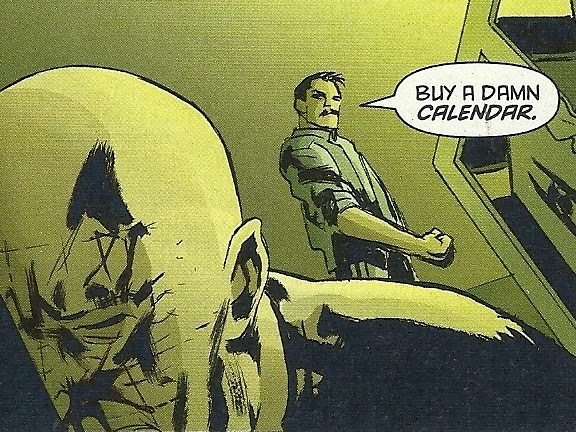 Julian Day, the Calendar Man? That’s exactly what I thought when I saw this panel. I closed the book and looked at the cover, and promptly felt like an idiot. A giant calendar super-imposed onto the Gotham buildings. So we finally get the New 52 origins of the Calendar Man. I’ve always liked the Calendar Man since I first read “Long Halloween.” Calendar Man was originally an over the top B-Lister who wore… a calendar costume. But in Jeph Loeb’s work, Julian Day is transformed into this Hannibal Lecter-esque villain taunting Batman from behind the glass of his cell. I love this version of the character and hoped they would continue with this amazing interpretation in the New 52. Alright, I’m just going to say it. This issue was weak. It took an amazing character and turned him into a nobody. The tie-in to the “Icarus” story-arc was also a poor choice for “Detective”’s 75th issue. 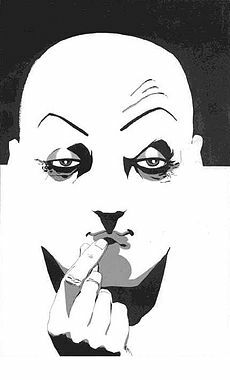 “Icarus” (which has recently ended after a grueling four months) was boring as I’m sure Batman has better things to do than go after drug dealers. The only redeemable factor of this issue is the interaction between Batman and Julian Day’s son. When Batman meets the boy, he discovers Julian has abused him (along with forgetting the boy’s birthday). This prompts Bruce to don his “Matches” disguise to teach Julian a lesson. In the end, Bruce leaves Julian clinging to a urinal telling him to look at a calendar. This was the writer’s rather pathetic attempt to give an origin to Julian’s affinity for dates and calendars. While it was nice to see Batman beat up an abusive parent (thus adding a touch of social commentary and reality to DC’s world), this was not a good issue. Despite this, there is great significance in the issue itself. That is to say, Batman has been around for seventy-five years, and this is a celebration of that fact. Therefore, if you’re a collector, you should probably pick it up. If not, you shouldn’t waste your time.